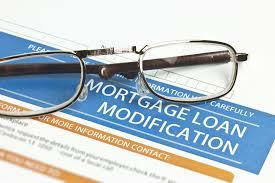 Over the past five years, millions of mortgage loans have been modified by the big banks and mortgage servicers. Recent reports have been in the media that a staggering amount of homeowners have re-defaulted on their loans. It turns out that the re-defaults may have been caused by the loan servicers and not the borrowers. The United States Treasury has done compliance testing at the major HAMP (Home Affordability Modification Program) loan servicers. These servicers include Bank of America, CitiMortgage, JP Morgan Chase, Nationstar, Ocwen, Select Portfolio Servicing and Wells Fargo. This probe was conducted by sampling 100 borrowers at each mortgage servicer who had re-defaulted on their loans by December 2015. What the examination found was that 6 out of 7 homeowners had been wrongfully terminated by these servicers. Problems that the Special Inspector General Troubled Asset Relief Program (SIGTARP) identified were as follows: miscalculating the amount of missed payments by a homeowner, misapplication of payments and mishandling of rolling delinquencies. Select Portfolio Servicing was the only large provider who had not made these errors. In addition, these companies continued to make the termination blunders even after the Treasury reported failures to them regarding their systems. A report given to Congress by the SIGTARP warned that findings of unfounded terminations from the HAMP program in the sample that was tested is indicative of extensive misconduct on the part of the servicers and should be addressed by further oversight by the Treasury.